If you have acne, you know there are a million different products claiming to be the magical cure for your blackheads, whiteheads, and zits. But which ones really work? Can you really use baking soda for acne? Should you buy over-the-counter acne treatments? Or would it be better to see a dermatologist for prescription strength options? Not enough research has been conducted on baking soda to say for sure whether it’s a good for your acne and for your skin. Acne can be a persistent skin condition that leaves many people continually searching for answers. Fortunately, there are plenty of products that really do help. You just need to know your skin type, the kind of acne you typically get, and what seems to be causing your acne. Then you can find a solution tailor-made for your situation. Baking soda is a popular DIY acne treatment that can definitely help some people with their acne, but before you try it, read on; it definitely doesn’t work for everyone. This article looks into how baking soda works when treating acne, what kind of acne it treats best, what dermatologists are saying, how you can make your own baking soda treatment, and some frequently asked questions about using baking soda for acne. Myth or Fact: Baking soda is just another acne treatment trend with no real basis in science. This is definitely a myth. While there have not been extensive studies on how baking soda treats acne specifically, it does contain many properties that could be helpful in treating many kinds of acne. Just because something is popular online doesn’t mean it doesn’t work! Myth or Fact: Baking soda can clear your acne in just 10 days. Myth, for sure. Many dermatologists are on the fence about whether or not baking soda for acne is a good treatment, and even if it does work for you, it definitely won’t clear all of your acne, let alone in 10 days. Be wary of any acne treatment claiming to completely clear your skin in under 2 weeks; most acne treatments take a few weeks to really affect your skin. 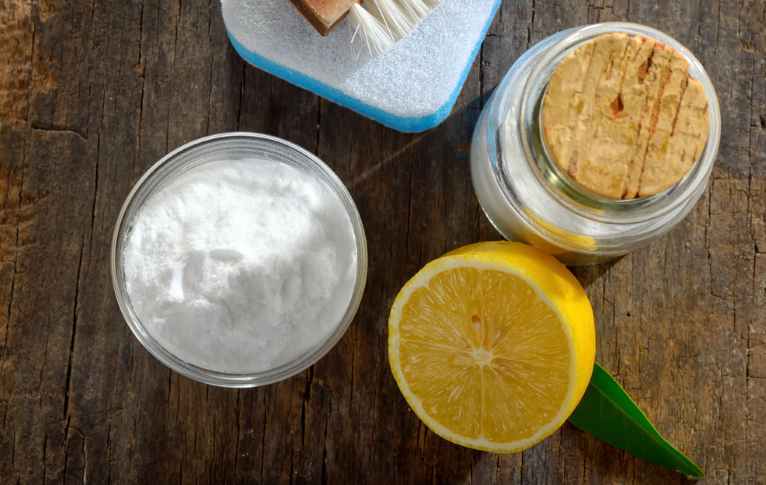 Myth or Fact: Baking soda has chemical properties that can alter the pH of your skin. Fact! The chemical properties of baking soda can change your skin’s natural pH levels, which is what makes it an effective treatment for some people. This same chemical makeup can make it very detrimental for other people though, so it’s important to understand the science behind it. The best way to tell if an internet craze is reliable or not is to understand the science behind it for yourself. Whether or not you should use baking soda for acne depends on the pH of your skin, so let’s dig into how pH works real quick. It might sound weird, but your skin is actually acidic, which is a good thing. The acid helps protect your skin from bacteria and toxins in the air, but it’s always possible to have too much of a good thing. pH stands for “potential hydrogen,” and all substances can be ranked on the pH scale, from 0 to 14. At the bottom of the scale, from 0 to 6, are the acids. These substances include battery acid, orange juice, or even milk, and they release hydrogen molecules when mixed in a solution. Substances that rank from 8 to 14 are bases, or alkalis, and they absorb hydrogen molecules instead of releasing them. Ammonia, bleach, and eggs are all examples of alkalis. The middle, 7, is pure water. It is neutral, neither an acid nor an alkali. Baking soda is an alkali with a pH level of 9. Your skin on the other hand, is usually somewhere between 5.0 and 5.5 on the pH scale. It might sound weird, but your skin is actually acidic, which is a good thing. The acid helps protect your skin from bacteria and toxins in the air, but it’s always possible to have too much of a good thing. So if your skin’s natural acidity can protect it, why would applying baking soda, an alkali, help? Well, the truth is that it doesn’t always help. If your skin has a healthily acidic pH level, baking soda could very well make your acne worse. When using baking soda for acne, it is most helpful with skin that is more acidic than average. This extra acidity can cause increased production of sebum (natural skin oils). These oils help protect our skin, but too much of it can clog pores and lead to breakouts. Because baking soda is alkaline, it can break up some of this excess oil and bring the skin back up to an ideal pH level. Baking soda functions primarily by breaking down sebum and dead skin cells clogging your pores, and lifting them to the surface. When you rinse off a baking soda solution, the water washes away all of the oils and dead skin cells too, cleansing the pores. This process is best suited for treating blackheads, since they are open to the surface, meaning you likely wouldn’t use baking soda for acne that is more severe, like cystic acne. Although sebum breakdown is baking soda’s primary role in treating acne, it can also reduce inflammation. More studies are starting to suggest that acne may be, first and foremost, an inflammatory condition, so any product that can soothe or prevent inflammation could be an essential key to your skincare routine. Baking soda also has slight antimicrobial properties, meaning it can kill a small amount of acne-causing bacteria. There is a specific bacteria that contributes to acne: p. acnes. Although no official research has been done on how baking soda affects p. acnes specifically, the baking soda in toothpaste has been shown to kill a very similar bacteria on your teeth. This is why some people recommend toothpaste to help with acne. We recommend trying more acne-specific home remedies when using baking soda for acne, but toothpaste may be helpful in a pinch. If you have a dry, sensitive, or even normal (meaning not too oily or too dry) skin type, baking soda is probably not the DIY acne treatment for you. You might want to look into honey, lemon, or aloe vera. If you have oily skin, or if you use alpha- or beta- hydroxy acne treatments, like those containing glycolic acid or salicylic acid, then baking soda could yield some positive results in treating your acne. If your face is extra oily, your skin may be too acidic, causing it to produce more sebum that could be clogging pores. An alkaline treatment like baking soda can bring your skin back into a healthy pH range and reduce oil production. On the other hand, if you use an acne treatment with glycolic acid or salicylic acid, baking soda could reduce the stinging effects and help keep skin from becoming too acidic. If you’re using baking soda in conjunction with glycolic or salicylic acid, make sure you only use baking soda after alpha- or beta- hydroxy treatment; if you use it before, the acids will be cancelled out by the alkaline baking soda, rendering the whole process more or less useless. Always apply moisturizer after using baking soda to prevent your skin from drying out. Baking soda strips away many of the natural oils on your skin, which could make you more susceptible to sun damage. Make sure you wear sunscreen while using baking soda for acne. Apply your baking soda acne treatment gently. Baking soda is already a drying, harsh ingredient that could irritate your skin, and scrubbing at your face could cause further irritation. Generally, you should avoid irritating your skin because when the skin gets irritated, it produces more sebum, which can clog pores and lead to more acne. Always buy a new box of baking soda for acne treatments. The baking soda you’ve had sitting in the cupboard for years (even if it’s still sealed) or the one that’s been sitting in the back of the fridge for a few weeks have both interacted with other chemicals that could have an adverse effect when applied to your skin. Do not use baking soda if you are already using an acne treatment that intentionally dries out your skin. If you notice your skin getting dry or scaly after using baking soda, discontinue use. Baking soda and water: If you want to go nice and simple, all you need to do is put 2 teaspoons of baking soda into a small dish, and add lukewarm water one-fourth teaspoon at a time until it’s a thin paste. This should be thick enough to stay on your face without dripping, but not so thick that it’s like peanut butter. Let the mask sit for 15 minutes, then rinse with cool water. Gently pat your face dry rather than wiping or rubbing since that can irritate the skin. Remember to apply a moisturizer right after. Facemasks are a great way to make acne treatment fun. Baking soda and honey: Because baking soda is so drying, honey can be a great ingredient to mix it with, because honey helps your skin retain moisture. Mixing baking soda with honey can keep your skin from drying out too severely, fight acne-causing bacteria, and reduce inflammation. One tablespoon of baking soda and one tablespoon of honey should mix to the perfect consistency. Baking soda and apple cider vinegar: If you have seriously oily skin and haven’t found anything that actually helps, this could be a possible solution. Apple cider vinegar is fairly acidic (it ranks at a 2 on the pH scale) so it can balance out the alkaline nature of baking soda, and both ingredients are drying, antimicrobial, and anti-inflammatory. Just add one tablespoon of baking soda, one tablespoon of apple cider vinegar and mix until it is thin enough to apply to your face but thick enough not to drip. If you need more moisture, add water, not more apple cider vinegar. Add to your current facewash: Adding baking soda to your daily facewash can help with acne, but even if you have extra oily skin, you’ll only want to add baking soda once or twice a week. Any more and you’ll likely see skin irritation or drying that could result in more acne. Just wet your face, pour a nickel-sized amount of facewash into your palm, add half a teaspoon of baking soda, mix together in your hands, and apply to your face. Gently splash with water, then pat face dry. 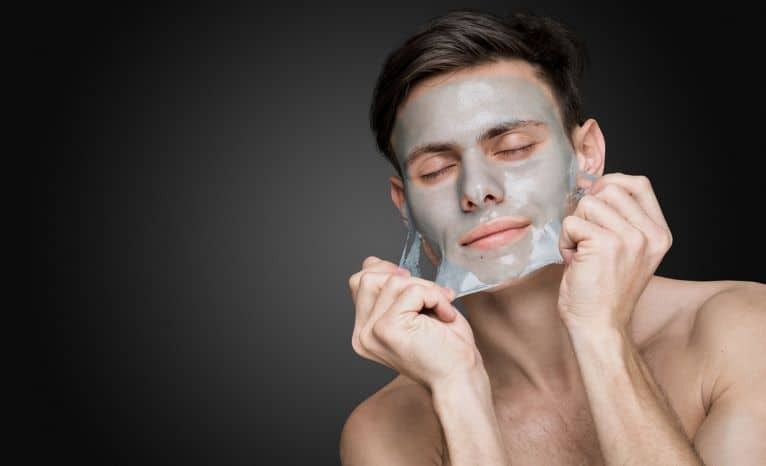 Spot treatment: If you’ve got stubborn blackheads in one particular area, but don’t want to dry out your whole face, you can use baking soda for acne by making a concentrated spot treatment to lift the dead skin cells and sebum from your pores. Pour 2 teaspoons of baking soda into a small dish and add water slowly until it forms a thick paste. Apply to the spot you want to treat, and let sit for 20 minutes. Wash off gently and pat dry. Scar treatment: There are some baking soda gurus who say that baking soda can help heal acne scars due to its exfoliating nature. The idea is that baking soda clears away dead skin cells, encouraging the creation of new, non-pigmented cells to take the scar tissue’s place. There’s no research to confirm this, but anecdotal evidence suggests that it could be worth a shot. Combine one teaspoon of baking soda with 2 teaspoons of water, and use a Q-tip or cotton ball to apply the thin mixture to your scars. Let sit for 15-20 minutes, then rinse. If you notice your acne scars getting darker, discontinue use. The same properties that lead people to try baking soda for acne treatment also make it a good solution for several other everyday skin issues, such as sunburn, bug bites, or poison ivy/oak/sumac. Baking soda has anti-inflammatory properties, which can help with all three of these skin conditions, especially bug bites. The swelling around bug bites makes them itch even more, so if you can bring the swelling down, you might be less likely to scratch it, which will help it heal faster. You should be a little more careful with the sunburn, however. Sunburn dries out your skin, and so does baking soda, so you’ll want to use a very diluted solution of baking soda and water, or baking soda and honey. Although reducing inflammation helps with plant-induced rashes, they may benefit most from what also makes baking soda a possibility for acne treatment: its power to break down oils. Many plants that cause rashes give off oil that clings to skin, which is why it can spread when you touch the rash and touch another part of yourself, someone else, or even your clothes or bedsheets. The oils cling to your skin and transfer to whatever else you touch. Baking soda breaks down oils and lifts them from the pores, so if carefully applied and removed, it could help treat plant-induced rashes like poison ivy/oak/sumac. Even though there’s plenty of recipes that use baking soda for acne treatment, there still isn’t much research confirming its usefulness. The lack of empirical data combined with baking soda’s alkaline nature makes many dermatologists hesitant to recommend it. If you’re looking for a solution for your acne, most dermatologists suggest well-researched ingredients, like benzoyl peroxide. These can be found in many acne treatment systems, like Exposed Skincare. Exposed uses proven acne treatment ingredients like benzoyl peroxide, glycolic acid, and sulfur, but it also incorporates natural ingredients that have been shown to help skin retain moisture, reduce inflammation and fight acne-causing bacteria. While baking soda will likely only help with blackheads, Exposed Skincare can reduce blackheads, whiteheads, and pimples. Most dermatologists recommend a full acne treatment system to keep your skin healthy while you treat acne. Exposed Skincare is gentler than baking soda, and the balance of active and natural ingredients make it effective for all skin types. If my baking soda facemask burns or stings, does that mean it’s working? No, if you are using baking soda for acne and it is causing burning, it might be doing too good of a job at exfoliating your skin. Because it’s an alkali, it shouldn’t burn skin like acidic acne treatments sometime can, like lemon juice or glycolic acid. Even acidic treatments really shouldn’t be burning your skin though. It’s a common misconception about acne treatment that if it burns, it’s working. Listen to what your skin is telling you: if your pain receptors are going off, it’s almost always best to try something different. If your baking soda treatments are burning your skin, you should either use baking soda less often, or find a different, gentler exfoliation treatment entirely. What pH does makeup have? Could it be adding to my acne concerns? That’s definitely possible, but there’s no need to panic and go buy all new makeup. If you tried using baking soda for acne and found it too harsh, you may now be wondering about the pH in your other skincare products. Primer, foundation, and other makeup products we use on our faces are tested in labs long before they arrive at our local drug stores or beauty shops. For decades now, part of the laboratory process has included pH testing. Most makeups are right around skin level, usually anywhere from 4 to 6, which is just fine for our skin because it’s used to adjusting. Skin is constantly exposed to substances that are more or less acidic than its natural levels. Water, even though it has a neutral pH of 7, is still more alkaline than our skin, which is usually around 5.5. So even if your makeup is slightly more acidic or alkaline than your skin, it may not be causing any issues. However, if your new makeup is non-comedogenic, oil-free, or non-pore-clogging and you still noticed a significant change in skin dryness or number of breakouts, the pH could be to blame and you may want to try a different brand. Are there different home remedies I can try if baking soda is too harsh? Of course! DIY acne treatments are budget-friendly and make acne treatment less of a chore and more of an at-home spa treatment. Honey all on its own can do wonders for many skin conditions. From canker sores to bug bites to acne, honey’s anti-inflammatory, antimicrobial, and moisturizing properties make it an ideal skincare product. You can apply honey directly to your face and let sit for 10-20 minutes, you can make a honey scrub with sugar and oatmeal, or you can even buy honey-infused products at the store. Another good choice is aloe vera, especially for dry or sensitive skin. It provides an extra layer of protection if your skin isn’t producing enough natural oils, and it reduces inflammation that can lead to acne. Apply a thin layer half an hour before bed to allow time to dry, then gently wash your face in the morning. There are a million other DIY acne treatments out there, but one more to consider is tea tree oil. This one is a bit harsher than honey or aloe vera, but it fights acne-causing bacteria more aggressively than other natural products and can also reduce inflammation. You can buy it in gel form, which makes it easy to apply to any affected area (do not apply all over, tea tree oil is best used as a spot treatment) or you can purchase a small bottle of diluted tea tree oil, dispense one drop into your palm, and dab it on the affected area. I was skeptical, considering I've tried top of the line pricey products, everything from Clinique to Proactive,even Nerium AD etc...I have to say I purchased a box of baking soda for .49 cents and in 4 days my skin already looks about 70% better. I've tried tea tree oil which didn't really work that well for me, tried apple cidar vinegar and that too didn't work great and it smelled like an old foot. I should of tried this years ago! I'm just hoping it works on the scarring eventually.. so guys and dolls I totally recommend this. Recently i have seen that i am m having bacne ,i tried out many products but nothing seems to be working ,i read in a magazine that baking soda does help in reducing bacne ,but i have a very sensitive skin ,i hope i do not get any get any kind of allergic reaction ,is it safe to use baking soda in my skin ? hiii i have bad acne and scars and my skin is oily too currently i am using epiduo gel with isotine tablets...is baking soda will help me????? Hi guys, I'm not pretty sure if it safe to be used on those severely dry, or sensitive skin. But I have oily/combination. I'm happy what it does for my skin. But I don't overdo it, only twice a week of treatment with baking soda with lemon juice. We must understand that our skin still needs some breathing. And please stay out of the sun harmful rays. smile! Hi! I try baking soda mask.. my face become itchy and smarting.. is that normal for the first try? I have used baking soda on my face n it worked magically!my face is not very oily but I had pimples on my cheeks and forehead I even didn't want to look at some of my friends directly on the face!when I was on my way to town to buy the baking soda I met a friend n he was like'whats wrong?you have changed...are you sick?your face,I felt bad.. but now I have something to celebrate! Hello, I have a sensitive skin. Till date nothing worked for me. Not even the dermatologists could help. Is there any home remedy which could help me?